Nottinghamshire County Council has approved an application by IGas to drill exploratory shale gas wells on a former Cold War missile launch site. The Planning and Licensing Committee gave the go-ahead subject to 37 planning conditions and imposed a legal agreement on the developer. The application concerned two wells at a site off Springs Road close to the village of Mission. 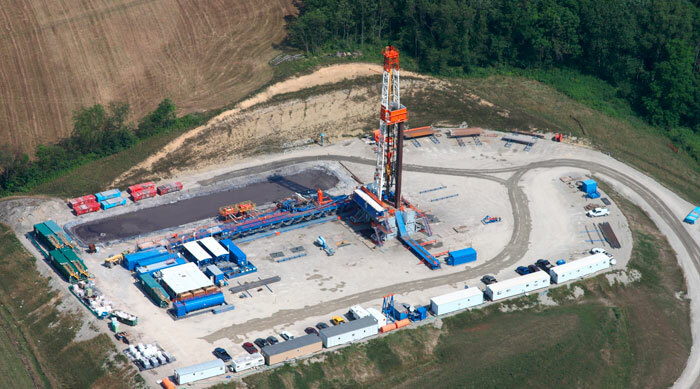 It was submitted by IGas last October and did not cover the use of hydraulic fracturing. The decision was originally scheduled to be made at the beginning of October. However, it was delayed after Friends of the Earth submitted a letter to the committee warning it against “granting planning permission to IGas to commit unlawful acts”. The campaign group has been acting on behalf of Nottinghamshire Wildlife Trust which owns the nearby Mission Training Area. The former military bombing range has been designated a Site of Special Scientific Interest, in particular because of the birdlife. The letter drew attention to a “restrictive” legal covenant from 1969 which prevents the carrying out of any “noisy, noxious, or offensive trade” which could cause “nuisance, damage or annoyance” to the occupier of the site. The decision on IGas’s application was delayed whilst Nottinghamshire’s Planning and Licensing Committee sought legal advice. Today’s (15 November) decision was welcomed by the chief executive of UK Onshore Oil and Gas, Ken Cronin, who said: “This follows the successful applications for onshore oil and gas developments in North Yorkshire and Lancashire and shows positive momentum towards finding out what natural gas resources we have beneath our feet that can be developed for the good of the whole of the UK. “84 per cent of our homes use gas for heating and by 2035 four fifths of that gas will come from outside the UK – that is why this is important”. Third Energy was granted permission to hydraulically fracture an existing well near the village of Kirby Misperton in North Yorkshire in May. In October, the government overruled a local council to give the go-ahead to Cuadrilla to drill and fracture four exploratory wells at a site on Preston New Road in Lancashire. A decision on an application to drill a further four wells at Cuadrilla’s Roseacre Wood site in the county was deferred by communities secretary Sajid Javid.